There is something truly satisfying about capturing a likeness in a drawing or painting, but portraiture can be a difficult skill to cultivate. Luckily, Craftsy is offering a free online mini-class, Draw Better Portraits: Capturing Likeness, with guidance from renowned instructor Gary Faigin. In your video lessons, Gary will discuss how the human brain recognizes people based on large shapes and patterns, rather than the detail of their features. Once you understand the human face as abstract puzzle pieces rather than individual features, you’ll create a simple block-in to quickly replicate your subject’s resemblance. 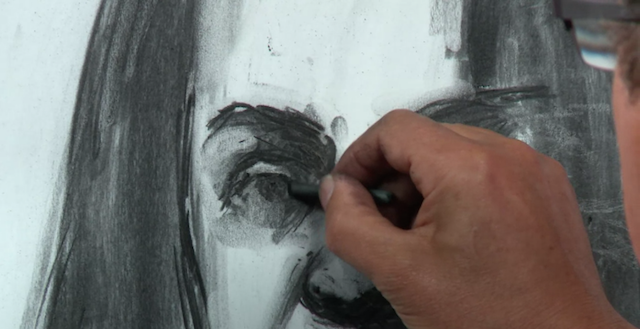 Together, you’ll create “placeholders” for each feature, so that you understand their position, size, and shape in regard to each other, then bring your portrait to life with Gary’s tips for sketching facial features, taking special care with the eyes — the most challenging area to duplicate. Finally, six models will sit for you as you become comfortable picking out distinctive facial shapes and recreating their one-of-a-kind features in your own portraits. Craftsy’s innovative virtual classroom allows you to watch your class whenever, wherever, and upload your work for feedback from your fellow classmates. Enjoy all the advantages of an in-person seminar with the freedom and flexibility to learn at your own place, rewatch lessons or specific techniques, and work from the comfort of home. Visit Craftsy for lifetime access to Draw Better Portraits: Capturing Likeness, and create portraits that bear an unmistakable resemblance to your subject.